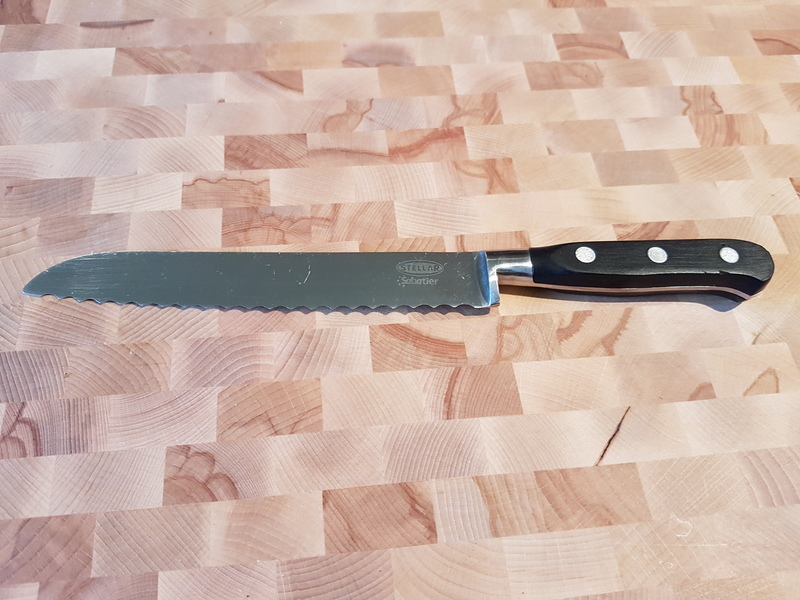 Breadknife on beech butcher’s block, March 2018. 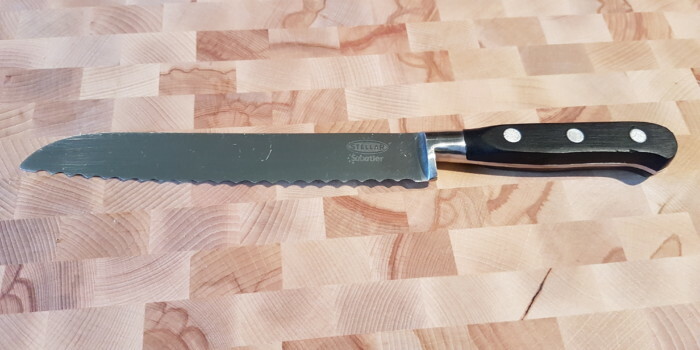 The knife is part of a set that was purchased some years ago and is regularly used for the purpose of slicing bread. Posted on March 25th, by Trefor Davies in the art gallery.